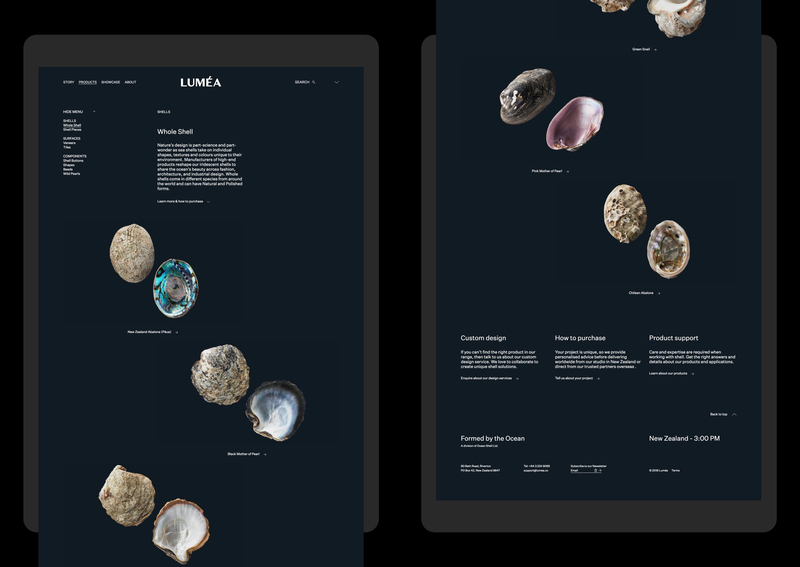 Luméa is the world’s largest supplier of seashells from the South Pacific, a finite resource. It is an ingredient brand for international suppliers and high-end designers in the luxury industries. 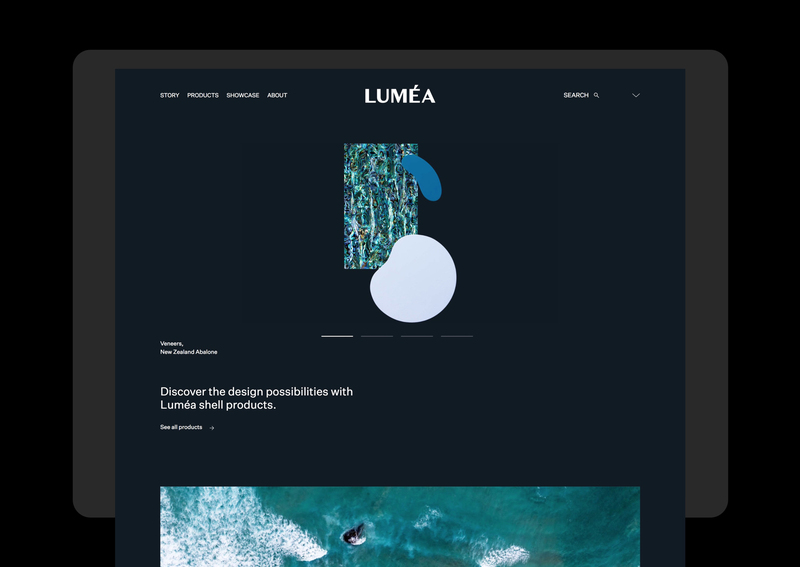 As seashells are currently associated with the craft and giftware industries, a new high-end positioning needed to be established for the Luméa product. 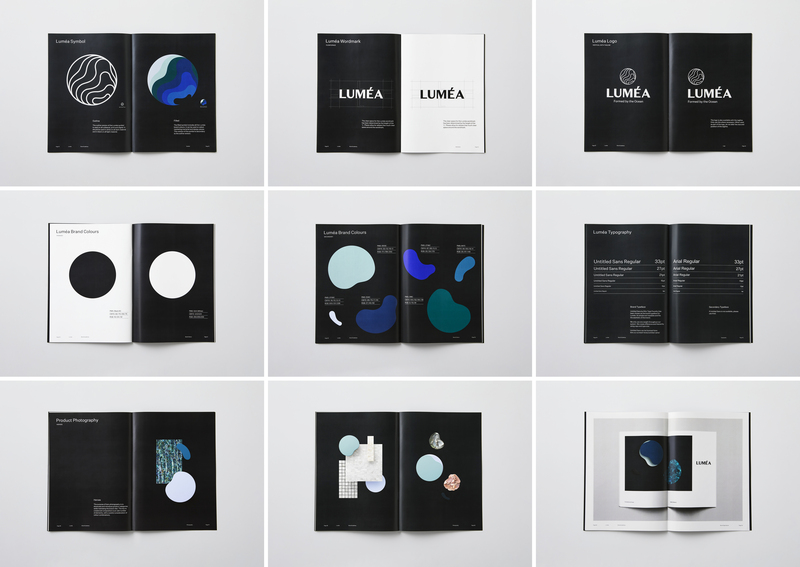 The guiding concept behind the visual identity for Luméa was ‘Formed by the Ocean’. Over years, seashells take on unique individual features, marked by time and tide. For example, the angles, curves, distinct textures and mysterious hues on pāua are formed by hard layers of calcium carbonate and sediment. 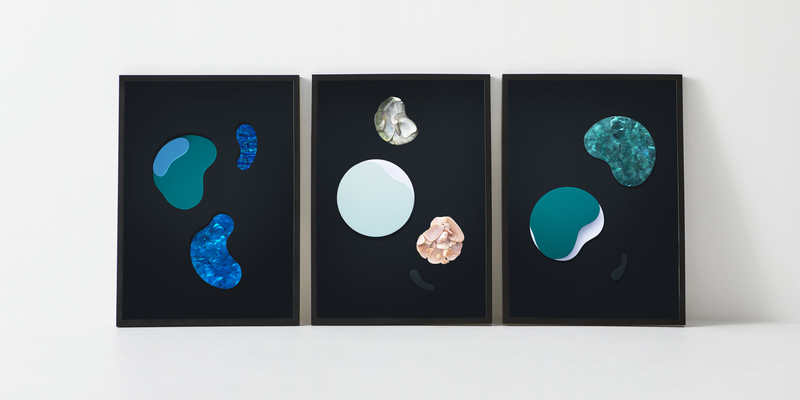 Through their shapes, each shell tells a unique story of its seabed environment. 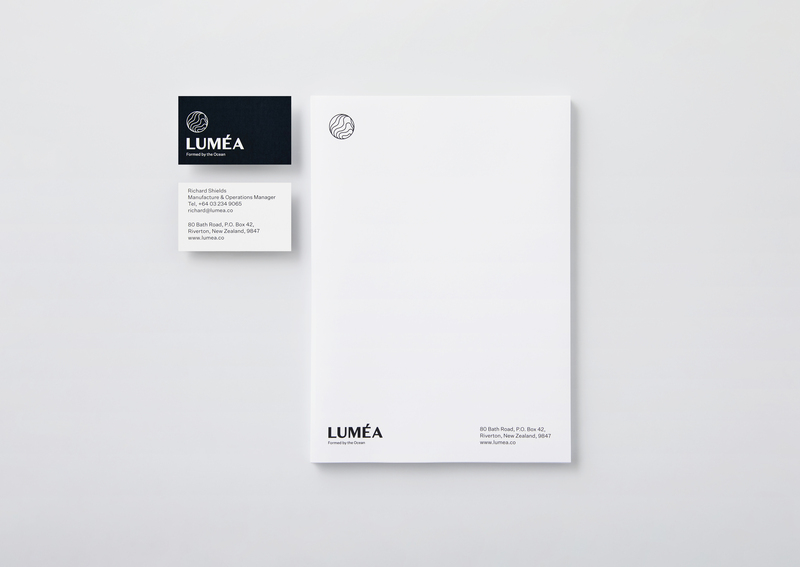 The Luméa visual identity was created to tell the unique story of the shell. Taking cues from the products themselves, design elements were inspired by the shell formations and their rich histories. 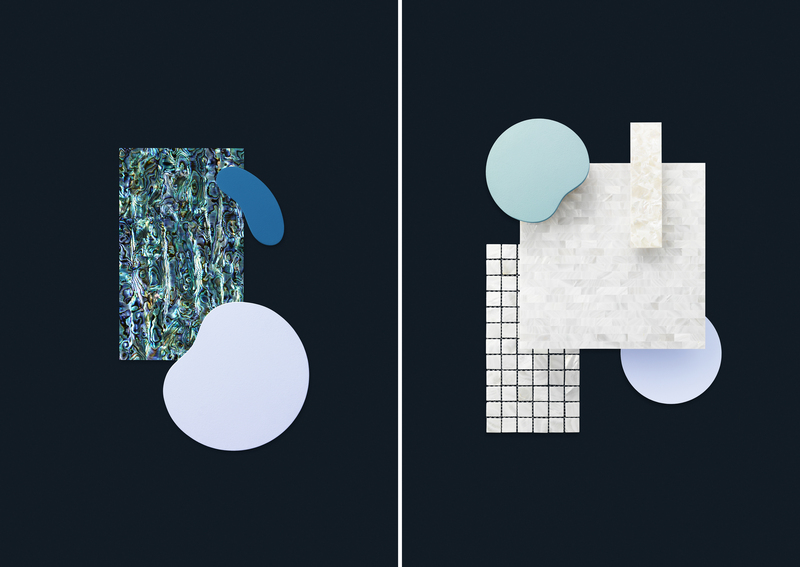 Shapes were extracted from the shells themselves, a colour palette was drawn from pāua, and a loose, organic layout approach was influenced by the ebb and flow of tides. 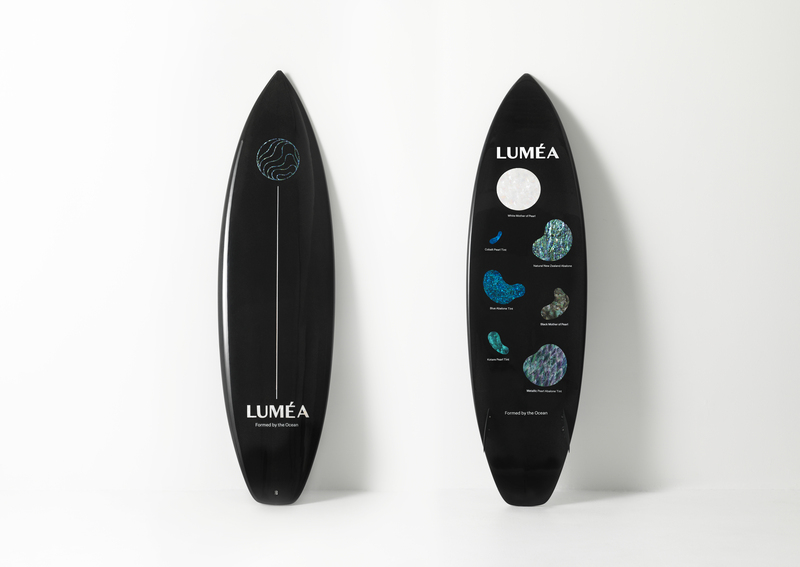 In collaboration with local designers IMO Group and Primal Surfboards, custom luxury items using the Luméa product were produced in order to spark the imaginations of makers and showcase the many exciting possibilities of creating with shell.